Who were ruled by a king named Sam. And their hair was Royal Blue. That they weren’t like me or you. So the NEVER missed a sound. Which helped them know the time. And at dusk turned mostly lime. Whose hue would shame a flower. Like clockwork, on the hour. For the Glibs were slight of build. And their tongues were never stilled! You’d hear what seemed like birds. You’d discover it was WORDS. ‘cause they chattered day and night. And knowing wrong from right. And how chocolate causes zits. Like why olives had large pits. But thy never seemed to care. And their voices clogged the air. They all proclaimed quite proudly. Could see it was not true. And he pondered what to do. Of the cause of all the trouble. Was trapped inside a bubble! Which no one could destroy. And then become quite still. And ran to find its source. His interest ran its course. And he looked above his head. And it glistened in the light. To touch the fragile sight. As he tried to hear the sound. And it crashed onto the ground! And a blast of searing heat. Overcame his urge to flee. With fur of reddish green. Like the boy had never seen. Was the first thing that he said. Sam’s dad was sure that he was doomed! As breakfast, he would end. He found he’d made a friend. By a creature quite un-kind. Had put them in this bind. They didn’t plan to worry. He was rather in a hurry. While the boy could only gape. Why they’d made their quick escape. Froze fast the small boy’s soul!! “YOU LET THEM GO! !”, he screamed with rage! Began to turn to ice. SO I KNOW A FITTING CURSE! WILL BE SEALED INSIDE OF BUBBLES. The Glibs don’t know that they’re not heard. Which is what the troll intended. The membrane blocked out love. When they spoke to other elves. Were the ones they said themselves. That all sharing had been blocked. So the words would be unlocked. But the curse ensnared them too! Their words could not get through. That his father’d met the beast. How the curse might be released! Had broken when it fell. Were just a brittle shell. Left the bubble still un-bruised. The king went on attack!! But the bubbles didn’t crack. He’d nothing left to try. Poor Sam began to cry. And wanted them to win. When they let each other in. Relief welled in his heart. Meant hope for all Glib-kind. With a sign which bore one word. But the love you give away! 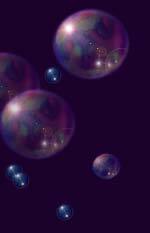 Their bubble ceased to be. For they knew that they were free! But Sam had found the way. And the cure still works today. They are just like you and me! "Please Mister Bubbleman!!! More bubbles now!!!" He decided on bubbles for food, rent, and tips. He realized bubbles could heal and cure! 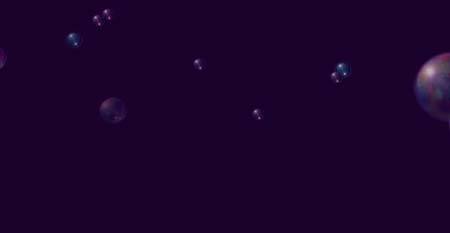 The call had gone out for The Bubbleman!!! Each one he obliged and never let down. "Hey Mister Bubbleman! 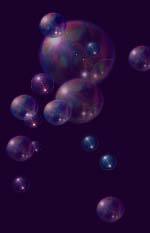 More bubbles here!!!" Then took off to blow bubbles at another event. Then they realized this was how he got around! And a rather simplistic, very cheap toy!